Truett Seminary alumnus Dr. Dan Bellamy (MDiv ’06, DMin ‘15) is fulfilling his call to ministry in a unique and interesting way. Bellamy—known as “Dr. 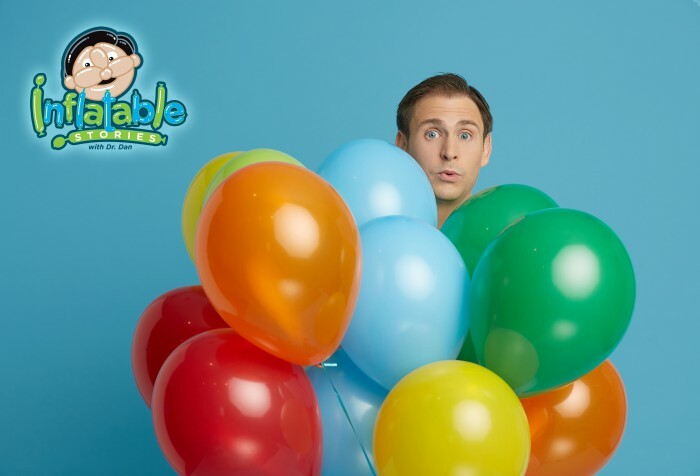 Dan”—is the founder of Inflatable Stories, through which he creates balloon sculptures to share the gospel with audiences nationwide. 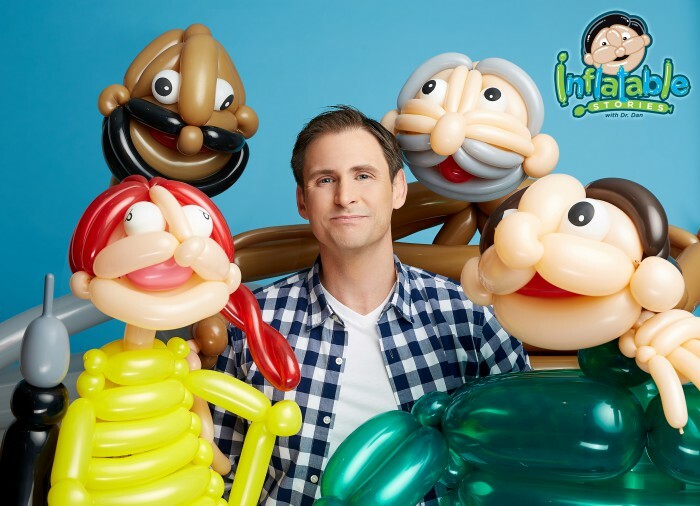 Though he long felt both his call to ministry and his passion for balloon art, it wasn’t until recently that God brought the two together in the form of Inflatable Stories. Bellamy was first introduced to the art of balloon sculpture while preparing for a mission trip his senior year of high school. During preparations for the trip, he met a man who practiced clown ministry with a little bit of balloon sculpting on the side. The man taught Bellamy and his fellow students a few basic balloon designs to use on the mission trip, and from that moment on, Bellamy was hooked. Bellamy’s love for and skill at balloon sculpture continued to progress. He would bring his bag of balloons and pump to camp, and before long, a crowd would gather to see his art in action. In college, he discovered balloon weaving and attended a balloon sculpture convention. As his passion for balloon sculpture developed, so did Bellamy’s call to life in ministry. After completing his undergraduate degree at Carson-Newman University, he decided to take the opportunity to travel the country while also exploring different seminary options. Between camping trips in national parks, from the east coast to the west, Bellamy visited six different seminaries during his road trip, including Truett Seminary in Waco, Texas. “When I visited Truett—even though I still had a few visits left to make at that point—I had a sense that Truett was the right fit for me,” he said. Bellamy ended up enrolling at George W. Truett Theological Seminary, and as a student, his emphasis in Christian Religious Education helped provide him with a solid foundation for understanding and working with people of all ages in a variety of ministry settings. He also credits Truett with teaching him to think deeply about Scripture and to seek to understand it both accurately and contextually, rather than just handing him a set of doctrinal beliefs to imitate. During his time at Truett, Bellamy gave his first balloon ministry program for an Upward Sports league. However, the full idea of combining his passion for balloon sculpture and call to ministry had not yet taken form. “I always enjoyed balloons, and there’s nothing wrong with doing a birthday party to make some money. But I really never could get excited about the prospect of that as a career. But I always loved the balloons! It took a little while for God to bring all of that together,” he said. After graduating with his Master of Divinity degree from Truett in 2006, Bellamy became a full-time youth minister at First Baptist Church, Atlanta, Texas. After a few years, he decided that this would be a good time for him to continue his education by pursuing a Doctor of Ministry degree. During his time in Truett’s Doctor of Ministry program, Bellamy found the same support and encouragement from the Truett faculty that he had known as a masters student. After receiving his doctorate degree from Truett, Bellamy continued to serve in the church as a youth minister. However, after transitioning out of that role a few years later, he began searching for the path that God was leading him toward. “I didn’t feel a call to start in another full-time position at that point. I still loved working for God, and I didn’t feel a release from doing ministry. But I didn’t hear God say, ‘Go find somewhere else to serve,’” he said. With his years of experience and doctorate degree, Bellamy expected God to lead him to a position as a senior pastor. On paper, it made sense; but it was not where Bellamy felt God calling him. During this time of transition, Bellamy was scheduled to attend a balloon sculpting conference. At the conference, as he continued to seek God’s plans for him, he realized that it was finally time to unite his beloved hobby and his work in ministry. Thus, Inflatable Stories was born. With his decision, doors began to open for Bellamy and doors that God had previously opened for him became clear. During his time as a youth minister at FBC Atlanta, Bellamy had made a contact who now was able to help him secure a contract with Reach Your City. The organization’s Christian talent booking resources allowed him to gain traction quickly as he began his new ministry. Today, Bellamy travels the United States, using his balloon sculptures to tell the story of the gospel to young children. He has also published a book, The Inflated Story of Noah, featuring large-scale balloon sculptures that Bellamy created and photographed across the world.